The Netherlands is becoming a safe haven for gangs that traffic drugs and people, the Dutch police union said this week. After the country softened its stance on marijuana in the 1970s, letting small amounts of weed be sold at so-called coffee shops, it grew into a hub for drug trafficking. 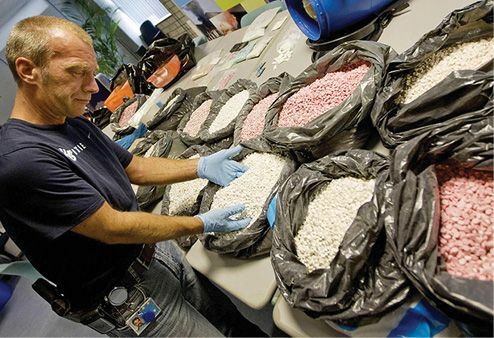 Now most of the ecstasy taken in Europe and the U.S. comes from Dutch labs run by Moroccan gangs, and half of the cocaine consumed in Europe enters through the Dutch port of Rotterdam. Officers say they are overwhelmed by drug gang–related crime but are powerless to cut off the criminals’ revenue sources. Amsterdam’s police chief, Pieter-Jaap Aalbersberg, said his force spent up to 70 percent of its time tackling gang-related hit jobs. The U.S. has rejected repeated appeals by Mexico for help in investigating the Mexican government’s use of spying technology against journalists and activists. U.S. officials told The New York Times this week that the FBI was concerned that Mexico would try to use U.S. involvement as cover for a sham inquiry that would let Mexican officials off the hook. The Mexican government is more than capable of solving the case on its own, if it wants to, said a U.S. official. The Times reported last summer that Mexico was using Pegasus software—an Israeli product sold only to governments and intended for use against suspected terrorists and drug cartel figures—to monitor the cellphones of human rights lawyers, anti-corruption academics, and journalists. Mexico pledged to investigate but has made little progress. 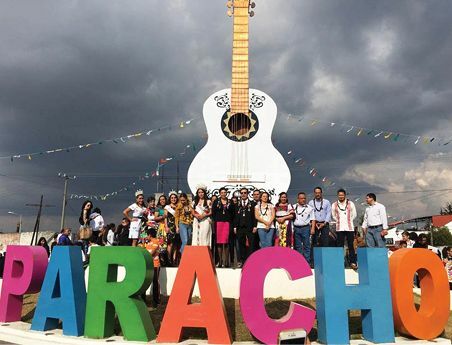 Artisans in the Mexican town of Paracho de Verduzco are working overtime to make decorated guitars, thanks to the wildly successful 2017 Pixar movie Coco. The film follows a young Mexican boy with dreams of musical stardom who is accidentally transported to the land of the dead. Germán Vázquez Rubio, the Los Angeles–based master luthier who helped design the film’s signature white guitar—which has mother-of-pearl inlays and a skull-shaped head—trained in Paracho. His hometown now considers him a hero. “Everyone’s gone loco for Coco,” says souvenir shopkeeper Claudia Rodríguez de Velásquez. “We have a long list of back orders.” Coco is the all-time highest-grossing film in Mexico, and has taken more than $700 million at box offices worldwide. More than 21,000 people got measles in Europe last year, more than quadruple the number in 2016, and at least 35 of them died. World Health Organization officials blame the spike on parents rejecting or delaying jabs for their children because of the discredited but widespread belief that there is a link between childhood vaccinations and autism. The most affected countries were Italy, Romania, and Ukraine, with about 5,000 cases each. The vaccination rate for young children in Italy is 85 percent; WHO says 95 percent should be immunized to prevent outbreaks. Measles is highly contagious and can cause blindness, encephalitis, and death. 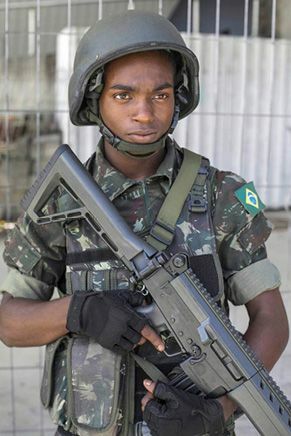 Such deaths are “a tragedy we cannot accept,” said WHO official Zsuzsanna Jakab. German Chancellor Angela Merkel has picked her ideological clone to be the head of her center-right Christian Democratic Union party—a position that would be a launchpad for the chancellorship should Merkel step down. 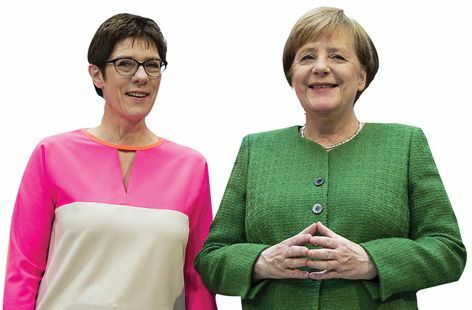 Annegret Kramp-Karrenbauer, the 55-year-old premier of the western state of Saarland, has a calm pragmatism that has earned her the nickname “Mini-Merkel.” Merkel, who has led the CDU for 18 years and the country for 12, has felt pressure to indicate a successor. The choice of the moderate Kramp-Karrenbauer is a rebuke to conservatives who believe the party should move rightward to counter the appeal of the xenophobic and increasingly popular Alternative for Germany party. Pro-Syrian government forces backed by Russia indiscriminately bombed rebel-held towns on the outskirts of Damascus this week, killing more than 250 civilians. The densely populated agricultural district of Eastern Ghouta is the last major area near the capital under opposition control. 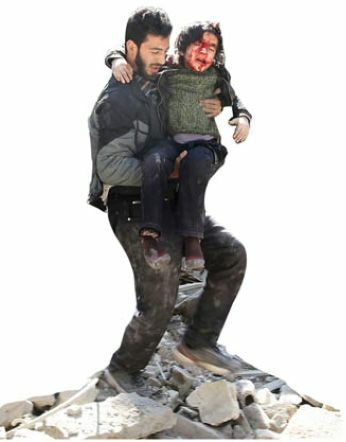 Forces loyal to President Bashar al-Assad bombarded neighborhoods there with airstrikes, artillery, rockets, and barrel bombs—barrels filled with explosives and shrapnel. “They targeted everything: shops, markets, hospitals, schools, mosques, everything,” a doctor identified only as Bassam told the BBC. Eastern Ghouta was one of the first areas to rise against Assad and was the site of a sarin gas attack in 2013 that killed more than 1,500. Some 400,000 people are trapped there. The threat to Benjamin Netanyahu from multiple corruption investigations grew more serious this week after police arrested several people close to the Israeli prime minister, and one of his most trusted confidants turned state’s witness. Former Communications Ministry director Shlomo Filber—nicknamed “the black box” for his loyalty to Netanyahu and his discretion—is suspected of serving as the middleman in an alleged deal to get the prime minister favorable media coverage in exchange for regulatory benefits for the Bezeq telecom company. 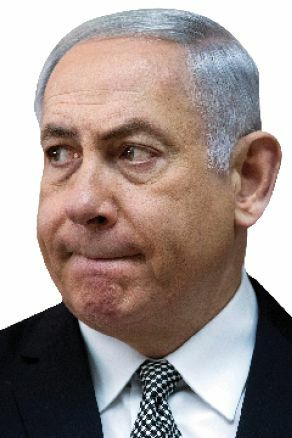 The case is separate from the two bribery and breach-of-trust cases in which police recommended charges against Netanyahu last week. Meanwhile, new allegations surfaced that an aide to the prime minister tried to bribe a judge to drop a corruption investigation into Netanyahu’s wife. Netanyahu denies any wrongdoing. U.S. and Chinese officials scuffled over the briefcase carrying the U.S. nuclear codes during President Trump’s visit to Beijing last November, Axios.com reported this week. 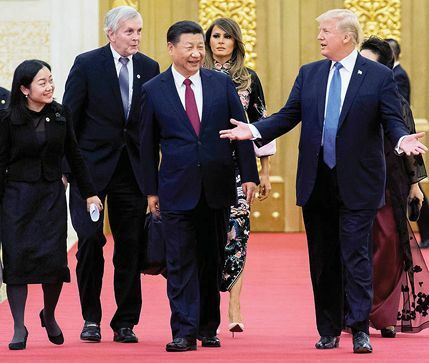 Sources told the news site that Chinese security guards blocked the military aide carrying the so-called nuclear football—who must stay close to the president at all times—from following Trump into Beijing’s Great Hall of the People. When Chief of Staff John Kelly rushed toward the aide, a Chinese security official grabbed Kelly, and Kelly shoved his hand away. A U.S. Secret Service agent then tackled the Chinese official to the ground. No Chinese official ever touched the briefcase itself, and the incident was over quickly. Chinese officials apologized for what they said was a misunderstanding; U.S. officials were told to keep quiet about the incident. North Korean officials canceled a secret meeting with Vice President Mike Pence during his Olympic visit just two hours before Pence and his team were set to talk in Seoul with a delegation that included dictator Kim Jong Un’s sister Kim Yo Jong. 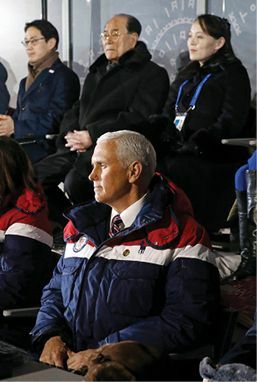 The withdrawal came after Pence ignored Kim’s sister at the opening ceremony, refused to stand for the unified Korean team, and announced the “toughest and most aggressive” sanctions yet against Kim’s regime. “North Korea dangled a meeting in hopes of the vice president softening his message, which would have ceded the world stage for their propaganda during the Olympics,” said Pence’s chief of staff, Nick Ayers. The cancellation also came after Kim invited South Korean President Moon Jae-in to Pyongyang to hold talks. 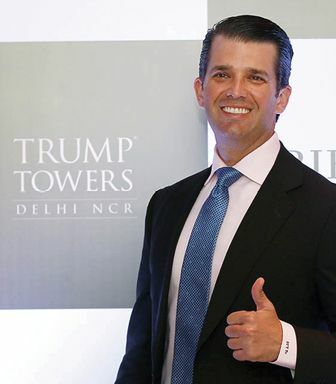 Donald Trump Jr. was in India this week to sell luxury apartments in a Trump-branded development in a New Delhi suburb, and his visit blurred what is supposed to be a stark line between business and politics. Ads in major newspapers reading “Trump is here. Are you invited?” traded on Trump Jr.’s status as the president’s son, promising that homebuyers who paid a $38,000 booking fee would get to have “a conversation and dinner” with Trump Jr. The president’s son was set to give a foreign policy speech at a dinner with Prime Minister Narendra Modi, and in early comments to the press said that business people in India were “a little bit” more honest than those in China.